It’s never been easier for your advocates to send you new leads! Your advocates keep YOUR branded app on their phone so they’ll always be able to send you referrals wherever they are. 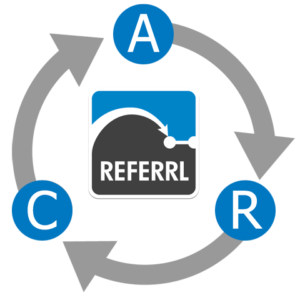 The Referral ARC System keeps track of your new leads and where they are in your sales cycle – you’ll always know how and when you’ve contacted your referrals. With the Referral ARC System, you’ll always know exactly what your leads are worth. Stay on top of potential revenue right on the admin dashboard. The Referral ARC System is an all-in-one referral generating system. Our 5-step process helps you get referrals from prospects to customers. Powerfully manage referrals with your Smartphone from the palm of your hand. What is the ARC Method? The ARC Method is a system of nurturing your Advocates to send Referrals and those referrals turning into Clients and those clients becoming Advocates and repeating the cycle. Plus, Our 5-Step Referral closing process will help you manage your referrals from the moment you receive it until you close it into business. One of the biggest advantages that I’ve received from having this referral app is that for the first time in 17 years, I finally feel like I know what my business is doing. To have a tool for your clients, customers or patients to easily refer because of their trust is priceless….it’s absolutely priceless. 60% Business Growth in 5 Months! Referrl is poised to disrupt the referral automation software space with its innovative approach to keeping you, the business owner, top of mind – your customers (we like to call them Advocates) will have YOUR LOGO on their Smartphone. No more fumbling through wallets or purses for that crumpled business card that we all know will just get thrown away. Referrl captures real time leads so businesses can follow up with newly acquired referrals while they’re hot. This is the perfect solution for small business owners who need a system for consistently maximizing the goodwill of their happy customers. Our app is a game-changer in the industry – the first of its kind. Your Referrl App Dashboard is the first thing you’ll see when you login. You’ll immediately know how much potential revenue your list of referrals can bring you. A quick summary of the number of closed referrals, the average sales cycle length, average sale amount and total income from closed leads is found right below your business logo. You can always take a quick look and see at-a-glance where you might want to bolster your sales processes based on quantifiable data. On your Advocates Page, you’ll see a list of your advocates and the number of referrals they’ve sent you. You can filter your advocate group based on top referrers, new advocates, Groups or Custom Categories or simply by first or last names. You’re completely in charge of how you interact with your advocate data. From here, you can send a bulk email to an entire Advocate Group, or interact with individual advocates based on their performance. The Referrl App also tracks your active vs. inactive advocates. This gives you the power to incentivize your inactive referrers in a holiday or special promotion. This feature alone can help you reactivate former customers and drive them back into your business as well! The Referrl App combines the power of referral-generation with a Rewards Management System. You’ll be able to set up customized rewards for your advocates based on criteria that you select. Reward your top referrers based on number of referrals, recency of referral or any other criteria you decide. It’s up to you. You have the power to incentivize your advocates in the ways that makes the most sense for your business. The Rewards module is one of our app user’s favorite features! We make it easy to manage your referrals with our simple referral dashboard. Calling or emailing the referral from the app will automatically log that interaction with a timestamp in that referrals activity log. Set a followup date with one touch. Never lose track of where you left off with a referral. Let’s face it, even if you’re already consistently asking for referrals, you still need a way to manage them more efficiently. The Referrl App capitalizes on the power of the Smartphone, so your advocates can send you real-time leads wherever they are. 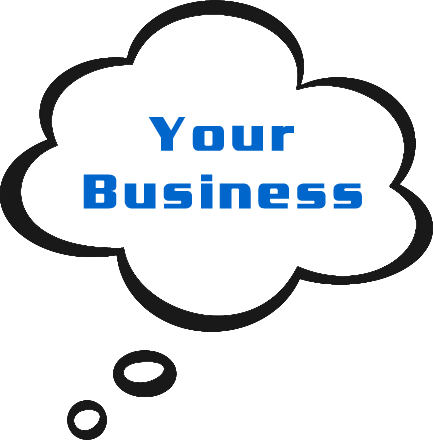 The Referrl App helps you get, manage, track and close new business. It’s 21st century word-of-mouth advertising with built-in relationship management tools. Reward your advocates, get new business – all with the Referrl App. Don’t miss out on our Pre-launch. Sign up and you’ll receive our best referral-generating resources that you can immediately apply to your business. Check out our Founder’s video on why he created the Referrl App. Welcome to the Referral Revolution! 5 things top producers do to generate endless referrals.